Steered Straight, Inc. is a non-profit organization providing educational programs and materials to youth, families and communities across the country and around the world. We are a 100% Secular organization without any affiliation with any Church, religion, or any other organizations of any kind. WE HAVE NO POLITICAL AFFILIATION WHATSOEVER. Best Back to School Parent Resource! A recent survey of kids resulted in 37% of kids stating they did not even know that it was nicotine they were inhaling when they were vaping this trendy little device – the JUUL. 25% of teens surveyed don’t even call what they’re doing, “Vaping”. 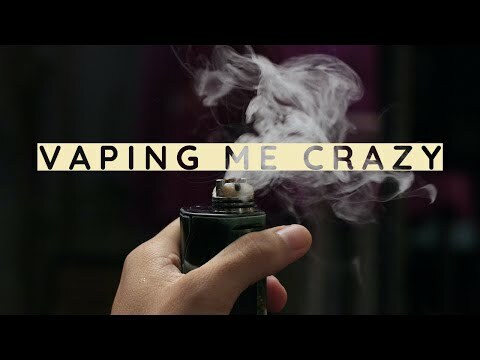 They call it “JUULing” and they literally don’t consider it the same thing, and most don’t consider it dangerous. Many teens and young adults don’t even know they are inhaling an addictive substance – nicotine. These products don’t even have labeling informing the user that they contain nicotine until regulations are created and enforced. Another GRAVE Danger is the ease with which kids can get Liquid THC, which many people mistakenly refer to as liquid marijuana. There are a plethora of website and kits to turn any and every e-liquid into a THC-liquid, and estimates of as much as 40% of all e-liquid devices confiscated by middle and high school students test positive for THC. Now, much of America mistakenly believe that marijuana is harmless, and this in turn has misled youth to believe the same thing, but we are NOT talking about marijuana here. We are talking about a genetically-modified, commercialized, synthetic drug that is a super-high potency THC, and youth are ingesting it without ANY understanding of what it will do to the brain and body. As with other activities, teenagers are prone to try new things with their friends, and that includes sharing vaping products that their friends may have bought. Many states don’t have age restrictions for vape purchases, so kids don’t believe that it’s even harmful to them. Steered Straight is much more than a visit – our “Back to the Classroom” year-long curriculum sets our program apart. The program kicks off with a dynamic presentation given by skilled, motivational speakers with real-life experience and poignant stories of consequence. We compliment the message with a daily, weekly, and monthly collection of education, interactive exercises, and prevention material. To steer youth toward making sound, rational decisions by creating a learning experience that provides them with a message of reality and helps them to make positive, informed choices. Students at James Caldwell High School learned first-hand the dangers of drug abuse and gang violence from Michael DeLeon, 52-year-old motivational speaker from Rockaway, on Tuesday, April 18. “If we don’t come together, every sector of society, we are going to continue this pandemic,” says DeLeon. Powerful and Effective Student Programs for Schools and Communities throughout America with unparalleled presenters carrying an in-depth message that resonates with students, staff and parents.